SOFIA, Bulgaria (BulgarianMilitary.com) – “Terem – SRY Flotski Arsenal – Varna” LTD has accumulated 3 million debts and operates at a loss, this was announced by the Bulgarian news agency BGNES, quoting the Defence Minister Krasimir Karakachanov’s response to a parliamentary question on the activity and the economic and financial standing of “Terem”, learned BulgarianMilitary.com. The Bulgarian Minister of Defence said that 93% of the company’s revenue is received from ship repair services in the civil market, which is and the main business activity of “Terem”, while the income from the execution of production orders, for the Bulgarian Ministry of Defence, the Ministry of Interior and the Navy, is lower. During the first 9 months of 2018, the shiprepair yard earned BGN 9.2 million, which is 4% less compared to the same period last year, whereas at 30th September 2018, the sales revenue of the company amounted to BGN 2.86 million, and at 31st October 2018 – to BGN 3.1 million, Krasimir Karakachanov said, specifying that the financial results for the first nine months of 2018 show a net loss of BGN 500 000 and the liabilities of the company reached BGN 2.83 million. This is a significant revenues decrease compared to the results for the first nine months of 2016 (BGN 33 million) and 2015 (BGN 21 million), when the income from the joint activity of the company and “Terem” with the command of the Russian Navy, presented a high percentage of the overall revenue of “Terem – SRY Flotski Arsenal – Varna” LTD.
Bulgaria’s Defence Minister explained that the main reason, for the enterprise’s lost position in this strategic market, is the changed geopolitical situation in the region and the termination of the relationship with the military command of the Russian Federation. Furthermore, the consequences of the economic crisis have led to a significant reduction in the number of small and medium-sized merchant vessels and consequently to a sharp reduction in the company’s production, which has necessitated a complete change in the subsidiary’s development strategy, making it a company oriented to the civil market. 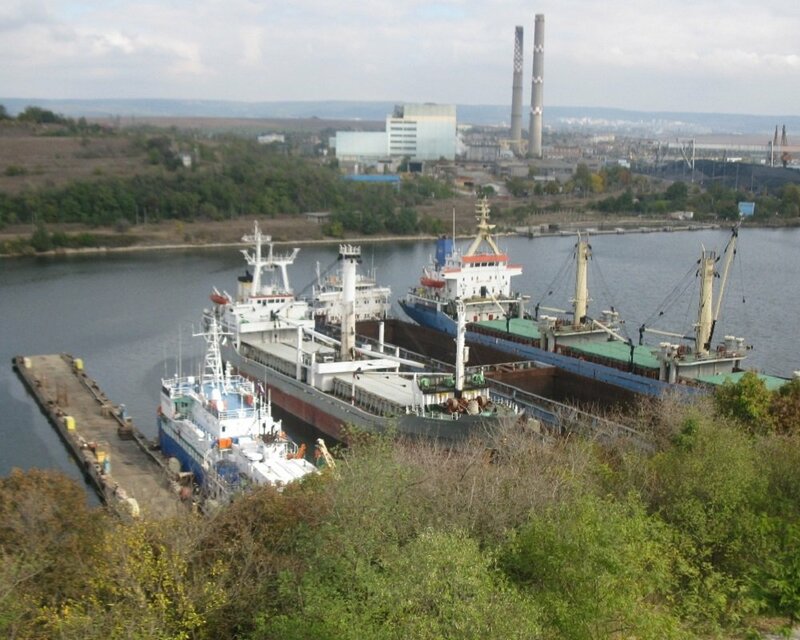 He also pointed out as a factor the competitive environment in which the the shiprepair yard is currently operating, calling it highly aggressive due to the fact that in the Black Sea region there are many plants with the same subject of activity that have much more modern facilities and larger docks. Karakachanov added that, since the beginning of this year, the company has undergone a re-organization in its production and trade processes, aiming the production facilities, freed by the Russian military ships, to be used for commercial and civil vessels repair. Currently, “Terem – SRY Flotski Arsenal – Varna” LTD is working on orders, made by the Bulgarian Navy and the Chief Directorate Border Police, as well as by foreign customers for river-sea vessels. Unfortunately, they are not enough for the shiprepair yard to work at its full capacity, Karakachanov explained further. In November, the company was inspected by the Public Financial Agency, for the period from 2011 to the present moment, regarding the reports of violations in its activity. During the inspection of “Terem – SRY Flotski Arsenal – Varna” LTD, no violations of the commercial and production activity were found that would lead to conclusions about vicious practices at the plant, as well as to poor financial results and to generating operating loss, Karakachanov concluded.